It's gonna burst off the pages on 10.5.2004, so get ready. Whoo-hoo! 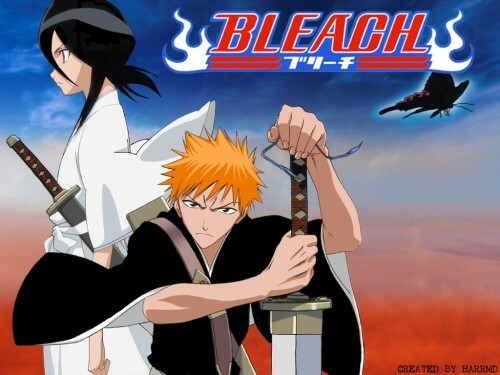 Bleach has it's own category! Sweet wall. Can't wait to see this anime. I love pictures with both Ichigo and Rukia! Very well done. Good job! man, bleach is the best. nice wallpaper! all of it fits together very nicely. good job! a very clear and beautiful wallpaper!! i like it so much!! XDDD ichigo and rukia ~ the color of the bg is soo good! !